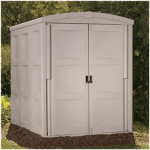 Looking for a keter 6×4 plastic shed? 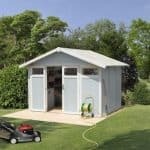 This plastic shed from Keter is rot and rustproof and low maintenance. 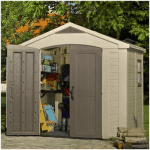 It is also extremely easy to assemble and requires no painting or treating. 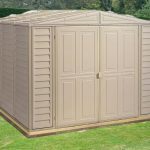 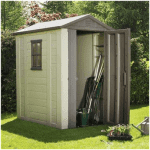 It is a compact keter 6×4 plastic shed ideal for small spaces and has a smart apex roof, single window for great light inside and a tall front door so it is easy to transport your equipment inside and out. 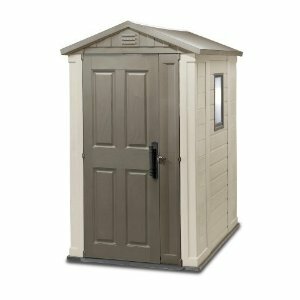 In a neutral grey colour it will retain its good looks and be a feature in your garden. 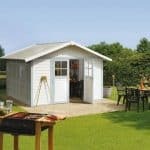 This is home delivered and includes the floor.